The final instalment from the ‘Requiem EP,’ is a track which highlights an artists struggle dealing with the culture of Hip-Hop, from their past experiences to the present day. 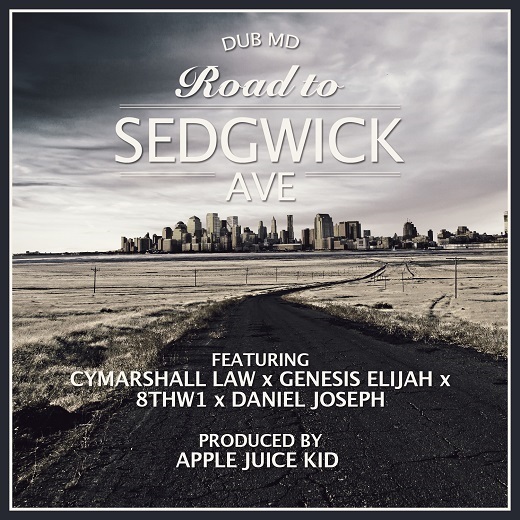 This Apple Juice Kid produced ditty features 3 emcees from New Jersey in Cymarshall Law, 8thW1, Daniel Joseph as they team up with UK based lyricist Genesis Elijah to take you on a trip down the ‘Road To Sedgwick Ave,’ with cuts provided by T.Dragonette. Peace to the ‘Originator’ Clive ‘DJ Kool Herc‘ Campbell. Next Article The Hardest - P-Money feat M.O.P.